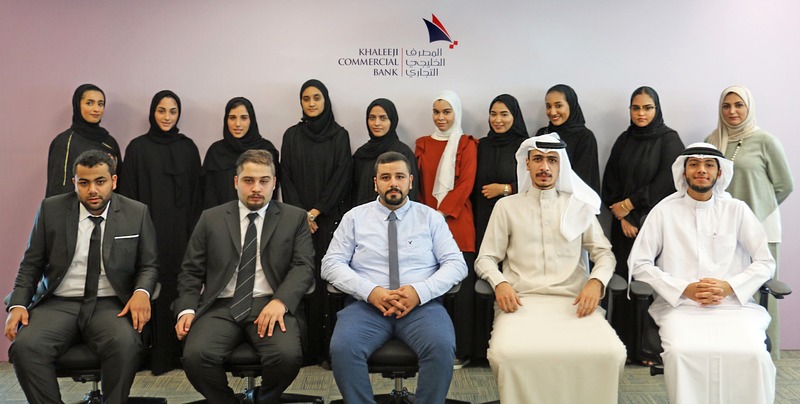 Khaleeji Commercial Bank (KHCB) continues to welcome university students in the Kingdom to its pioneering internship programme, by receiving 13 students from various local universities as part of the requirements to completing their academic studies. This initiative reflects the keenness of KHCB to adhere to its social responsibility, alongside its deep interest in preparing the coming generations to engage in the Islamic banking sector, in order to contribute to its development. The two-month internship programme provides students with the opportunity to learn about the Islamic banking system and the work environment in various departments by rotating interns through various departments to work closely with the staff, in order to acquire practical skills, in addition to learning how to create a CV, prepare for interviews and attending a number of educational lectures on Islamic banking.